"Pour 585" and creating the colour palette.. I've always struggled with colour (not even sure how to spell it! ), in the past I've had better luck with limited palettes, staying away from anything bold, relying more on subtlety. That changed when I started studying the street paintings of Zimer, a brilliant artist who uses a lot of deep, almost blood-like, reds on top of greys. 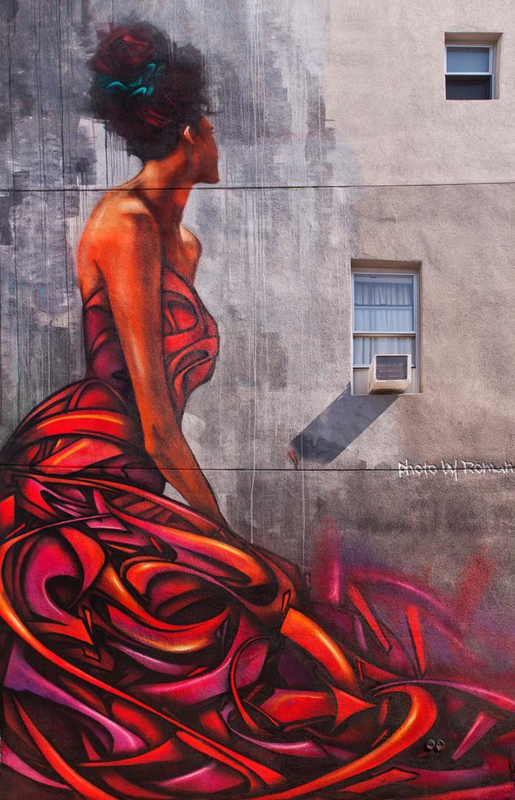 His subject matter is typically dramatically posed woman in graffiti-esque lettered dresses. Still from "Pour 585" on left, Zimer street painting on right. Ironically, the first time I saw a Zimer painting was on a wine bottle, he was commissioned a few years ago to paint a bottle for Intrinsic Cabernet Sauvignon, no joke. You can get your inspiration anywhere, funny being that the characters of the film are wine glasses! 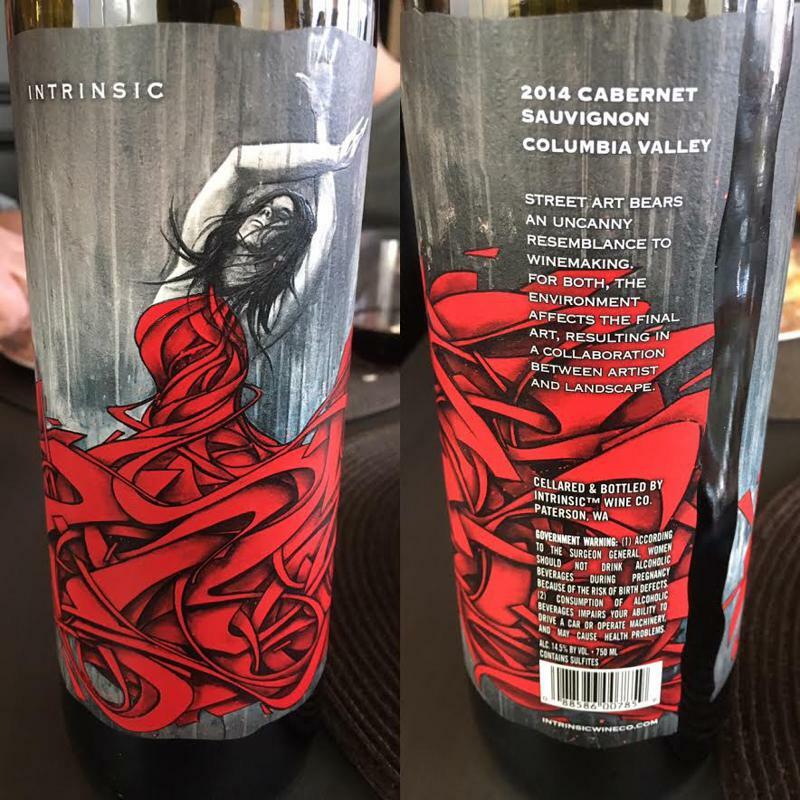 Here's the bottle of Cabernet that changed the course of my film! The graphic style brings me back to when I first noticed art in general.. for me it wasn't the classics that first pulled me in, it was cool stuff like this on skateboards and stickers that first got my attention, as lame as that sounds. Enjoy, not sure why I've never posted his stuff before. Here's a great interview with him that I just stumbled upon while writing this. He's also an interesting guy that has crafted a very mysterious public image. Outside of his possibly surreptitious name, RJB shows up at every appearance wearing a different Mexican wrestling mask, and surrounded by girls that are as smokin' as his drawings. 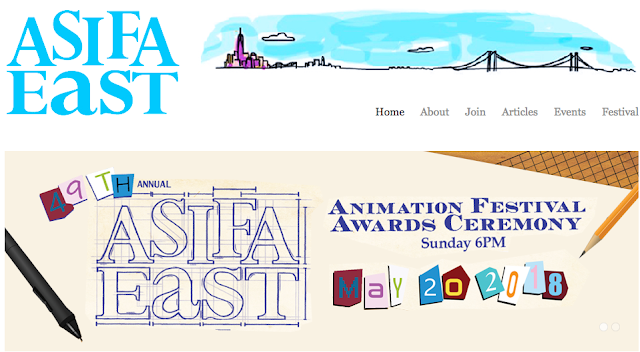 What's great about it is that anyone can enter, and also that all of the ASIFA members get to vote on films in several categories: student films, independent films, and commissioned work - plus there are special awards given out for excellence in writing, sound, design and both educational and experimental work. It all culminates each year at the awards ceremony, which is a FREE event and is open for everyone to attend. You can hang out, meet all of the best NYC animators, see the winning work, and enjoy the reception afterwards. This is all taking place on Sunday, May 20, from 6 to 10:30 pm, at the Tishman Auditorium, 63 Fifth Ave. (at 13th St.) in Manhattan. And did I mention that the admission is FREE? How often do you get a chance like that? So if you're not going to be traveling to London for the Royal Wedding, swing on by and I'll see you there! 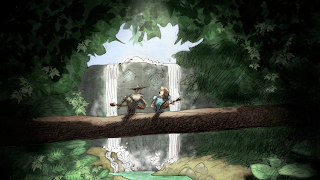 There are three big projects to talk about - the biggest one is that I just finished the storyboards for my next animated feature film, "Slide". I can't remember how much I've talked about this already, but it's a very personal story for me because it's about a musician who plays the slide guitar (like me!). And it takes place in the forests of Oregon (where I'm from) and the soundtrack will be music in the style of Hank Williams (which I grew up with). Basically, it's a musical about a mythical musician who come to a corrupt gambling town and cleans it up (something I've never done, though...). 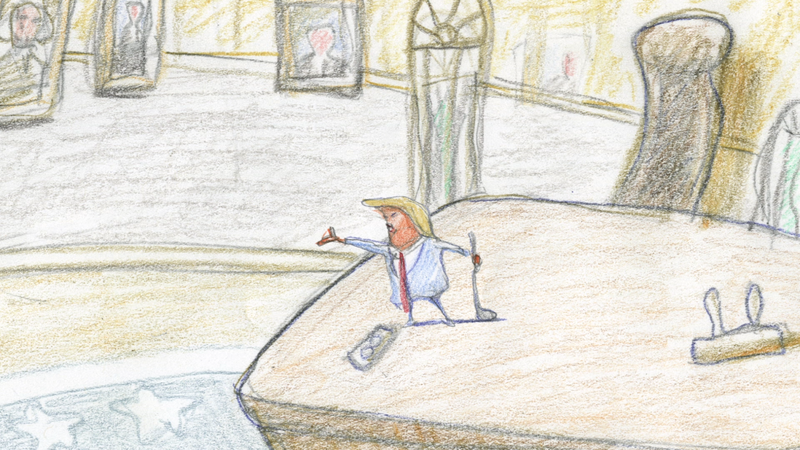 I'm about to start the animation phase, and I've love to release occasional shots from the work in progress, periodically so you Plympton fans can follow the production of my newest, and perhaps most ambitious, animated feature. 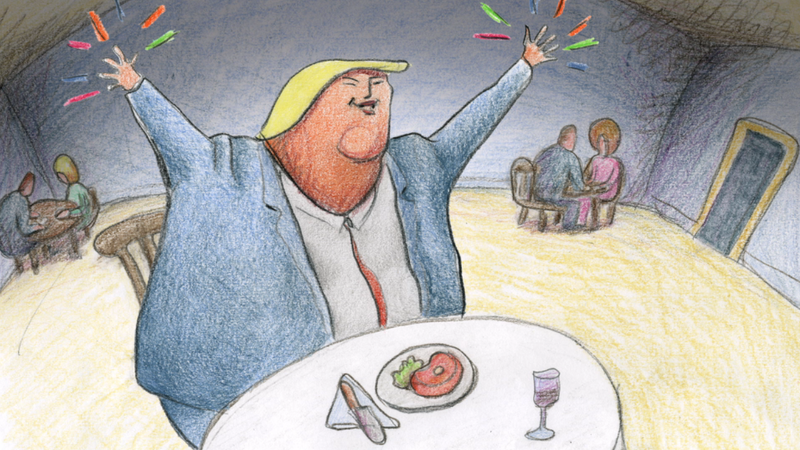 The second project - and I may have already mentioned this one, too - is a series of animated political cartoons using real sound bites from our President, Donald Trump, as a backdrop for my animation. As some of you may know, for 15 years, way back before I became an animator, I was a successful political caricaturist and cartoonist. So it feels great to get back into that trade, and it seems that the urgency now to do so is much more intense. 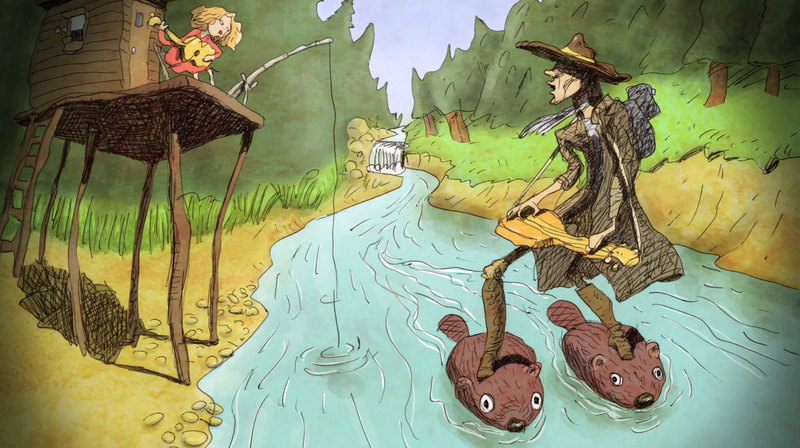 These cartoons will start to be broadcast soon and we want to coordinate the release with a Kickstarter campaign, because what the broadcaster is paying isn't really enough to cover the costs of making these films. Of course, I'm not doing these shorts to get rich, but I would like to break even. 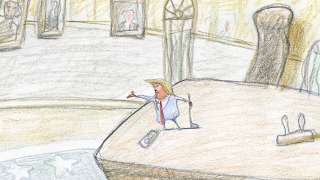 So watch this space for an announcement about where you can see these "Trump Bites" cartoons. I'm working with a company called 110th Street Films to produce these short pieces. And to top things off, we'll be showing footage of Jackie performing one of the songs from the music video (recorded live in front of an audience) - how about that? The show will be on May 22 at 7:30 pm, and I'll be there to introduce the program and talk about the music video as an art form. 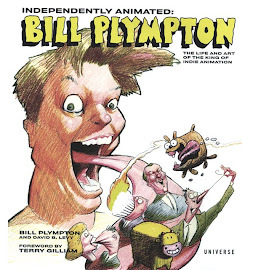 Also, everyone who comes gets a free Bill Plympton sketch. If you don't know the Nitehawk Cinema, it's the coolest cinema in NYC. You can get food and drink while you watch a film! If you're into it, Jackie's music is perfect "stoner" music. (So come prepared.) See you all there! 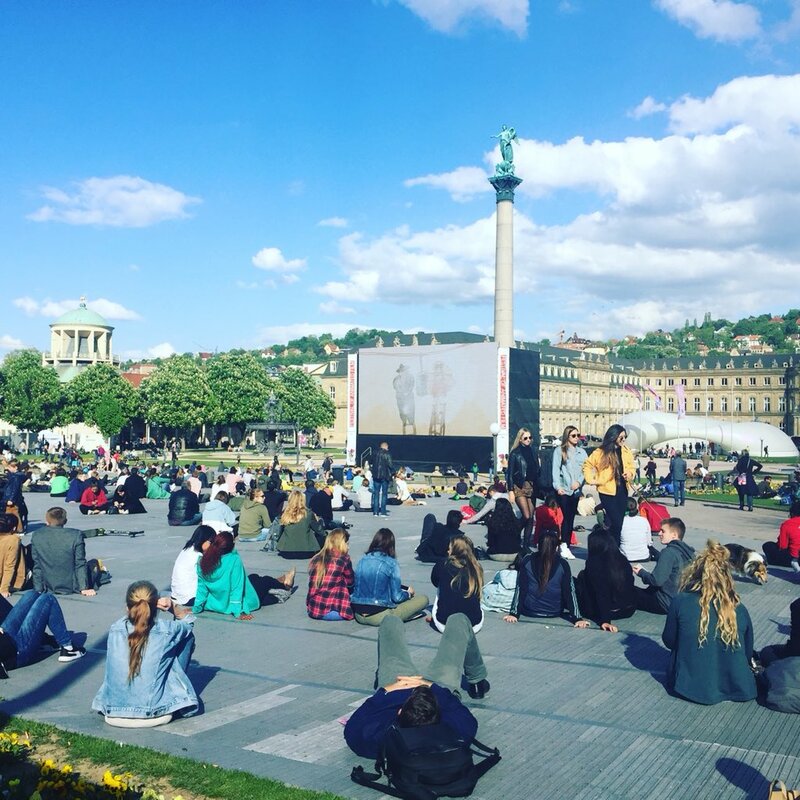 Once again, I returned to the International Trickfilm Festival in Stuttgart, Germany. This time I was there with a short music video, "Tupelo", in the Panorama section, plus I was invited to be a judge, along with my friend, Jean Thoren, and German producer Fabian Driehorst in the Kids TV series section of the festivl. I started going to this Stuttgart Festival back in 1988 with my short film "One of Those Days". This was back when the festival was only six years old and I had just started animating. 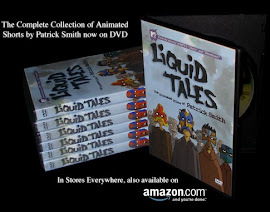 It was a great experience - in fact, that's when I first met Joanna Quinn and Peter Lord, two of my favorite animators. At that time, it was a very bare-bones kind of festival. I remember taking our cinema breaks on an old WWII concrete bunker, sitting in the sun and getting drunk - oh, those were good times. 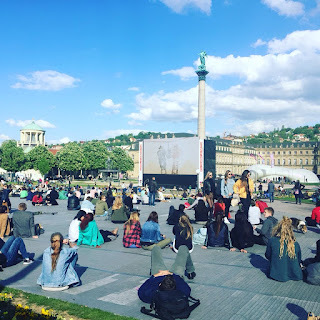 The Stuttgart Trickfilm Festival screening my short "The Loneliest Stoplight" outdoors. Of course, now the festival is one of the top festivals in the world, thanks to its success and wonderful sponsor support. 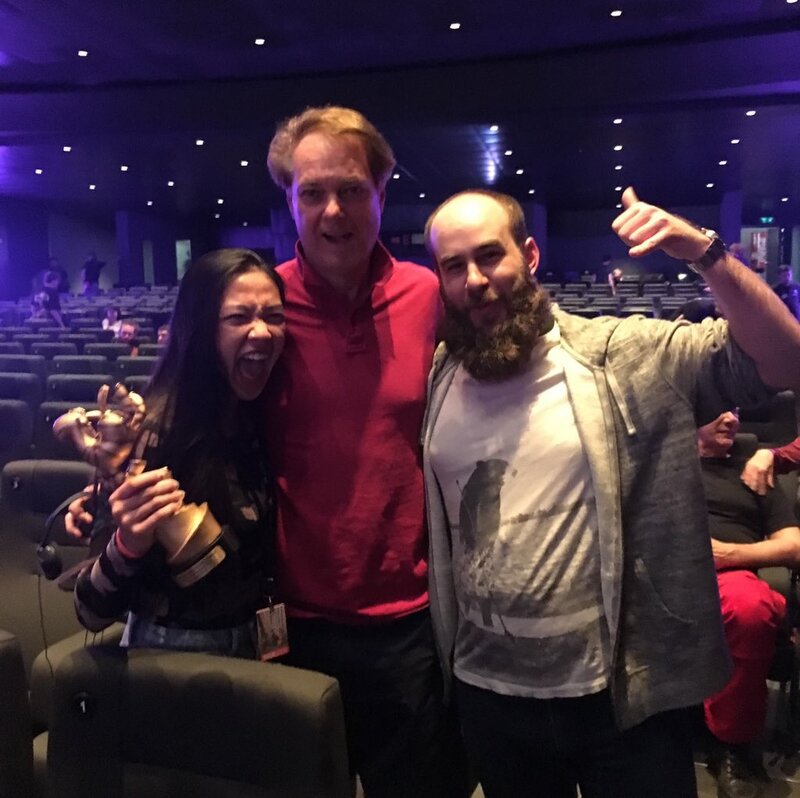 This time, I ran into my old friends David Silverman ("The Simpsons"), Mark Shapiro (from Laika) and of course, Andreas Hykade (a great animator and this year's head of FMX, the digital version of the festival). Some of my favorite films there were "Sog", by Jonathan Schmenk of Germany, "Enough" by Anna Mantzaris of Great Britain, and "Hybrids" by five great computer students from France. The best for me was an animated feature from Italy called "Cinderella and the Cat", even though it was a CGI film, the technique and story were very edgy and very adult. I loved everything about it. If you ever get a chance to see it, GO! With two of the filmmakers of "Hybrid" after they won the Amazon Prime Video prize. As you may know, Stuttgart is also the home of Mercedes Benz and Porsche. And I've always wanted to visit their respective museums - so Sunday I had the day off (no films programmed) and that was my day to immerse myself into the car culture. I liked the Porsche museum because of their history of making racing cars. They had a lot of the early prototypes, that was fascinating. But I found the Mercedes Museum much more interesting, because of the educational angle, plus it featured a lot more vehicles. I've heard many Germans complain about how Americans think that Henry Ford invented the car. Well, this museum has the lowdown on the invention of the automobile, separately by Gottleibe Daimler and Wilhelm Maybach and also Karl Benz. It's interesting because both companies submitted their patents in the same year, 1886! I loved seeing the very early transformation from a wooden buggy powered by a tiny one-cylinder engine to a sleek, powerful luxury roadster of the Roaring 1920's. They even covered the extent of using slave labor during World War II. On Saturday, the Festival celebrated its 25th Anniversary, and I was invited to tell a few anecdotes in front of a crowd of VIP's. They introduced me as "The World's Greatest Animator" (not true, by the way...) and that's why I love going to Stuttgart. My new short, "The Cow Who Wanted to Be a Hamburger"
Classic Tuesday Inspiration: Raffaele Monti and Giovanni Strazza.. Creation of the Independent Trucks logo..